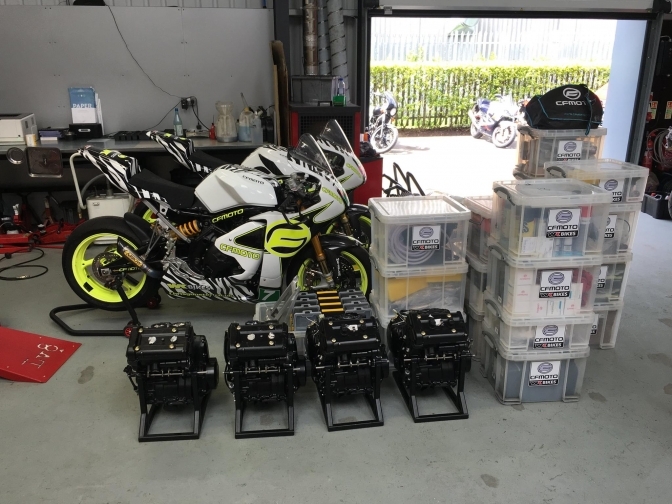 A page following the efforts of the WK CF Moto race bikes in the TT and other Races. That Proves how far the Chinese Motorcycle Industry has now come with reliability and performance. Now in 2016. 2018 coverage at bottom of the page.
" 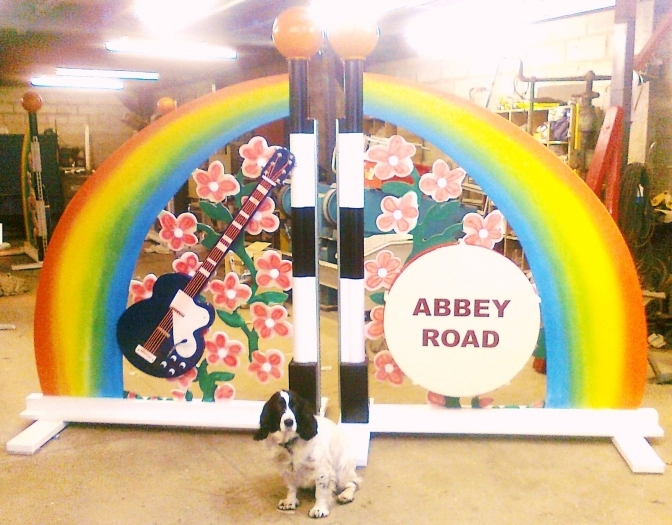 OR WATCH-OUT THERE'S A ZEBRA CROSSING"
The "Sprocker" spaniel is named Winnie Crilley we could change the C to K ? 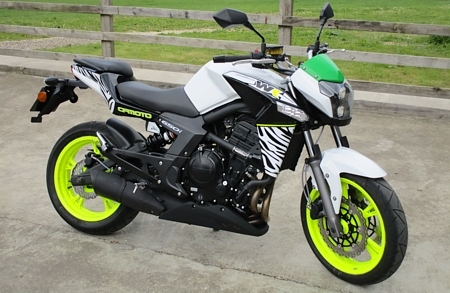 WK BIKES, CFMOTO 650i street bike. 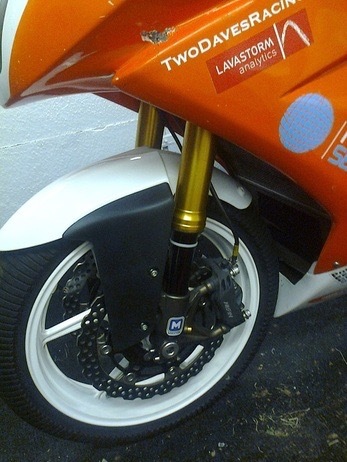 WK BIKES,CFMOTO 650i Race bike. 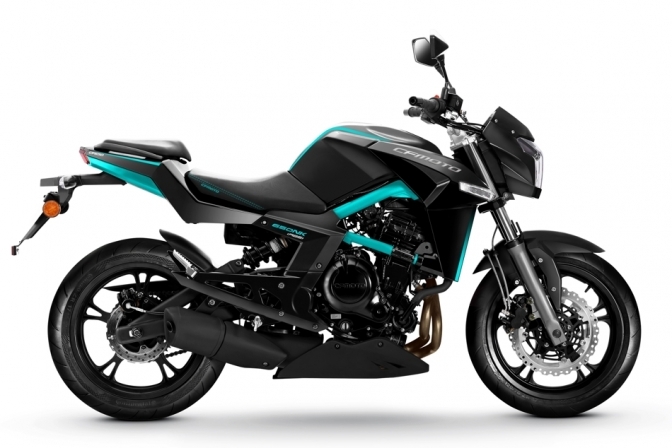 WK BIKES, CFMOTO Short Period offer. 09/06/2016. Gary Johnson put the Chris Gunster prepared WK BIKES. 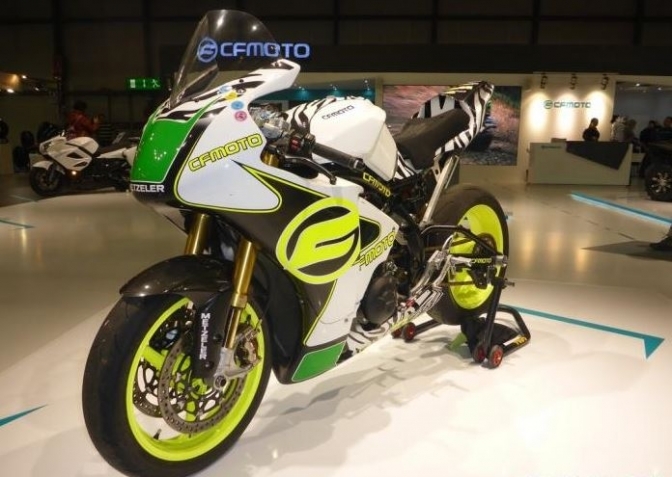 CFMOTO works backed bike through its shake-out for 2014 lightweight IOM TT. Chris Gunster Motorcycles. has done a great job in getting this bike prepared after a disastrous fire in his workshop where he lost twelve years of his livelihood in an hour. Chris is also a mate of another bloke from Grimsby, who is a bit of a truck mechanic. But I know he is off riding a push bike. on holiday in the USA. bike at the TT . WK BIKES, CFMOTO 650i Race Bike. This is the launch video of the teams TT2016 effort. Then we get to the start of practice week. waiting to go back into the jungle. After Part Two Part Three Practice week. And Part Four, last practice before Race. There will be more videos later but the result was that Gary Johnson finished in a magnificent Fourth place and not that far off a podium time. Craig Neve had a sensible ride into fifteenth place.and not that far of the pace. This just goes to prove how reliable these machines *Made in China" have become. And the company have not been afraid to put there neck on the line with the product to prove its safety and reliability and the fact that the engine can still be Tuned and stop reliable that is more to the point. Well Done WK BIKES CFMOTO, keep up the good work. You Make your own mind up you know mine. " Copying is the first sign of Flattery"! Nice chips by the way making me feel hungry, NUM-NUM-NUM-NUM-NUM? I like that Pub At Crosby . 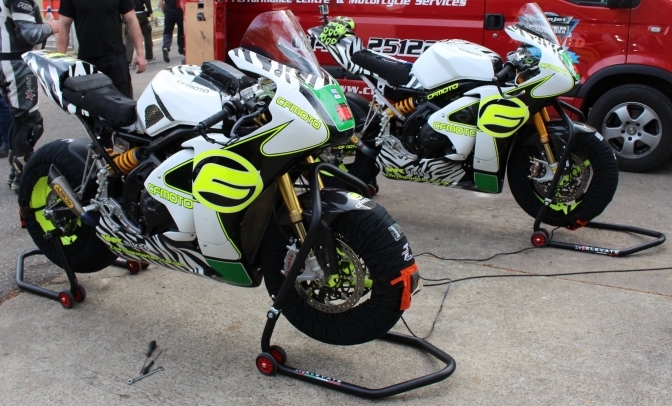 We chose the 2004-2005 ZX10R forks for several reasons: they were the same length as the ER forks they were replacing, they used a 20mm spindle and they used 300mm brake discs - meaning that our existing ER6 wheels would fit with only different wheel spacers being required. 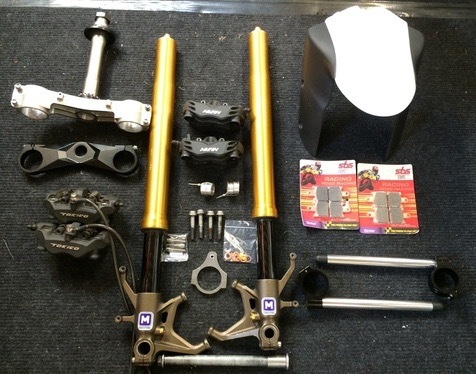 After a revalve and respring by Maxton suspension, along with a full service, the ZX10R forks were ready for action. The 2006-2007 ZX10R yokes bolt straight into the ER6 chassis, but prior to fitment our top yoke was milled to remove the ignition key ring and the lower yoke was milled to allow our 'Ram Air' scoop to still get plenty of cool fresh air. 2013 TT race winning machine .James Hillier. More Jungle New's later. OK. "Thank You Very Much". Adam Bauer's 2015 run up "Pikes Peak". Would be a Good challenge for a Zebra Mike? He was over from the USA to learn the Mountain Course for this years attempt at the Manx 2016, You watch the video. He can ride a mountain!. Hope to see you there Adam. 2018 coverage of WK Bikes CF Moto IOM TT exploits.